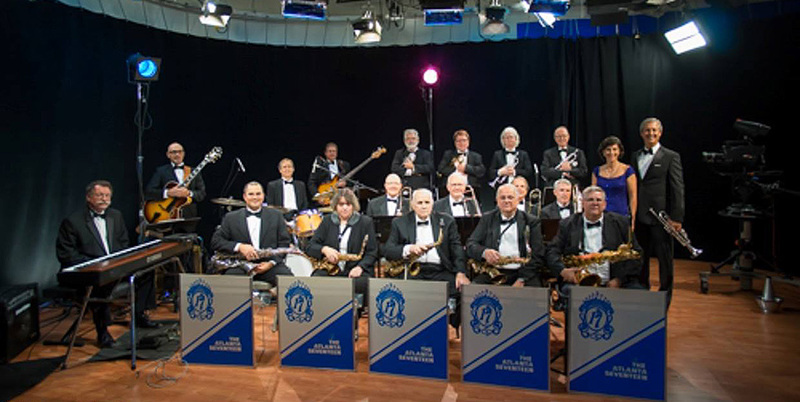 Atlanta Plays It Forward is excited to sponsor the King’s Ridge Christian School Interact Club’s Moonlight Sonata for those living in Assisted Living Facilities in the area by providing The Atlanta 17 Big Band for music and dancing. This night of food, dancing, and live music is March 18 at the The Metropolitan Club in Alpharetta. 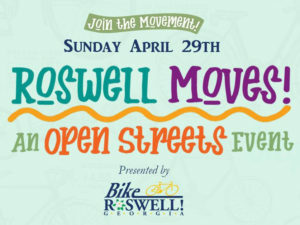 A new Bike Roswell event, “Roswell Moves! 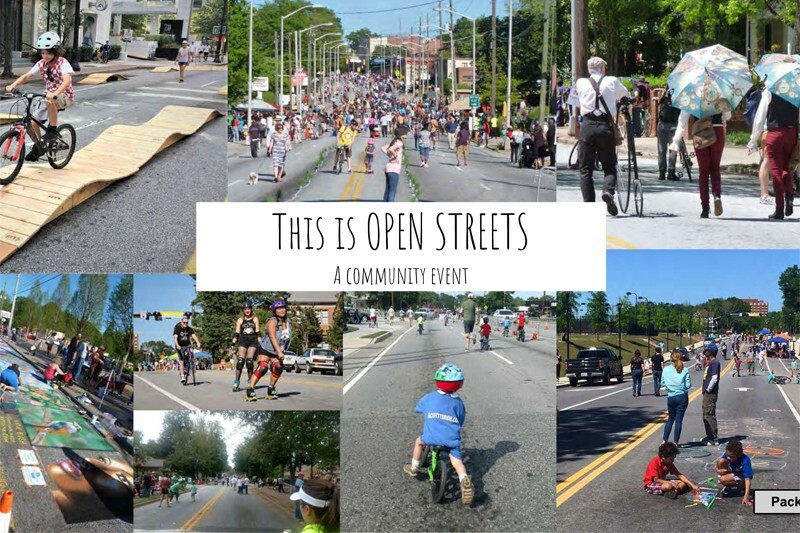 An Open Streets Event” will close Canton Street in the downtown historic district to motorized vehicles for much of the day April 29. The City Council recently approved the closure, from 10 a.m. to 4 p.m., of a five-block stretch of Canton from Elizabeth Way to Woodstock Road. Activities will include a kids’ bike safety rodeo, “touch a truck,” scavenger hunts, history tours, yoga, fitness classes and walking, running, bicycling, roller skating and skateboarding. Live music will be presented at two stages, and local restaurants and shops will be open. 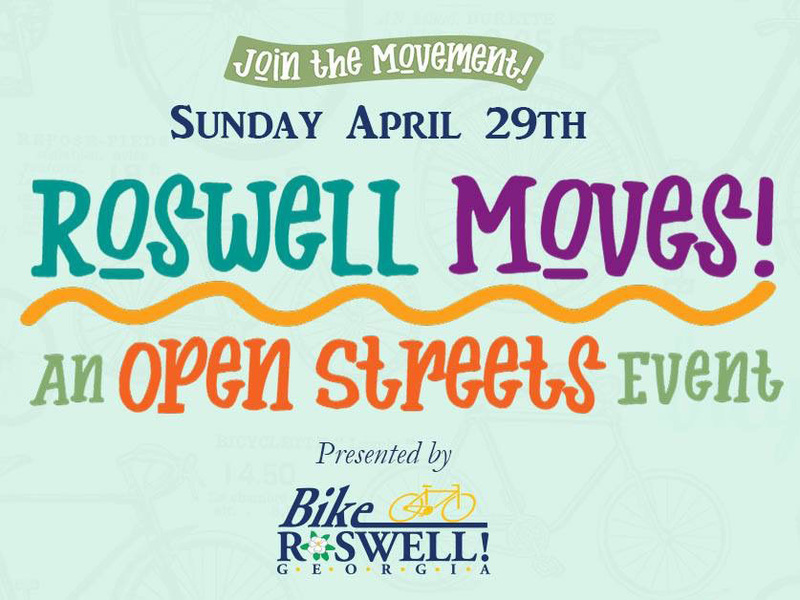 Roswell Moves replaces the Historic Roswell Criterium, but one of its anchor events – the Mayor’s Ride, with rides of 18, 42 and 64 miles – will continue this year. Early registration for the fundraiser is available online, with a discounted fee of $35 per rider through March 31. On the 4th Friday of each month from May through August, Atlanta Plays It Forward will bring you an array of different food trucks as well as entertainment and fun for the whole family. Riverside Park amenities include a sprayground (for a nominal fee) and two playgrounds. Bring your blankets and chairs along with your favorite beverages for a fun night out at the park! 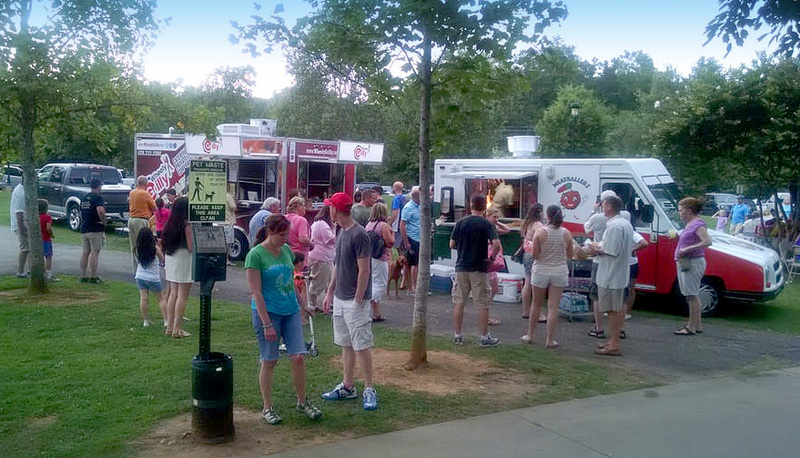 A list of food trucks and entertainment schedule can be found at www.roswellgov.com. Vendor and sponsorship packages are available. Please call 770.641.3705 for more information.